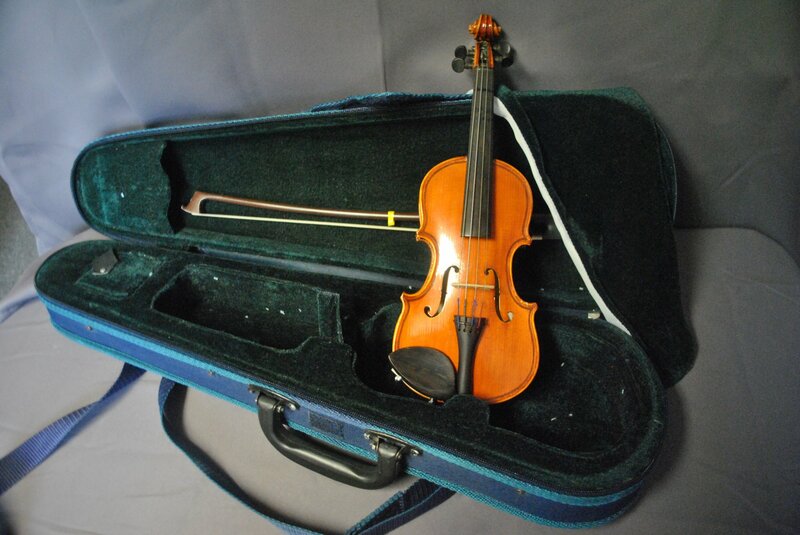 Violin, 1/16 size, with case. The instrument is used and includes a bow. Zippers work on the case but the handles for the zippers are missing. See photos for more details and contact us with any questions. Local customers are welcome to come in to view the instrument prior to purchasing.